Tencent’s equity bulls keep facing so many setbacks these days that you wonder when its loyal shareholders will cave. For them, it’s becoming all too familiar: the shares slump on some negative news and analysts rush to say buy, calling it an excellent time to load up on a stock that’s long been among Hong Kong’s most loved and owned. While that may have worked earlier in the year, the reality is Tencent keeps dropping, down now 28% since a peak in January and one of the Hang Seng Index’s worst performers in the period. It all kicked off in February, when the shares were caught in a global selloff sparked by frothy tech valuations. Those fears had only just subsided when a month later Tencent reported weaker margins. That was followed by a stake sale, a wave of selling from mainland investors, a lack of new games, Tencent’s first profit drop in at least a decade, revoked licences and now what’s turning out to be a significant regulatory wall in China. Bullish analysts came out in full force again on Friday, saying Beijing’s plans to mitigate the impact of gaming addiction among children won’t have too big an impact on Tencent’s bottom line. But they’ve been behind the curve all year, sticking to their buy ratings and taking months to budge on their 12-month price targets. While those were finally cut en masse in August, the average forecast still calls for a 33% rebound from here. The question is when buying the Tencent dip will start paying off. Friday’s trading offered little in the way of encouragement, with the shares down almost 5% and closing at HK$340 apiece. Derivatives including warrants and options are often tied to round prices, which may exacerbate share-price moves. * Fin24's parent company Media24 is part of the Naspers Group. 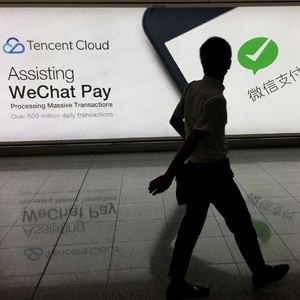 Naspers owns a stake in Tencent.